We are a UK based marionette puppet shop. Here you can buy Hand-Made marionettes (string puppets) from a variety of talented marionette makers not only from the UK but from around the world. We make and source only the finest string puppets for our store. We can ship worldwide and usually get orders out within 1 working day (in-stock items). Prices are in £ GBP (pounds sterling) , please use a currency converter such as (x-rates.com or xe.com ) if you need to price your purchase in your local currency. Choose from small marionettes - size from approx 9 inches(22cm) to 12 inches (30cm) perfect for beginners and small theatre or tabletop use. 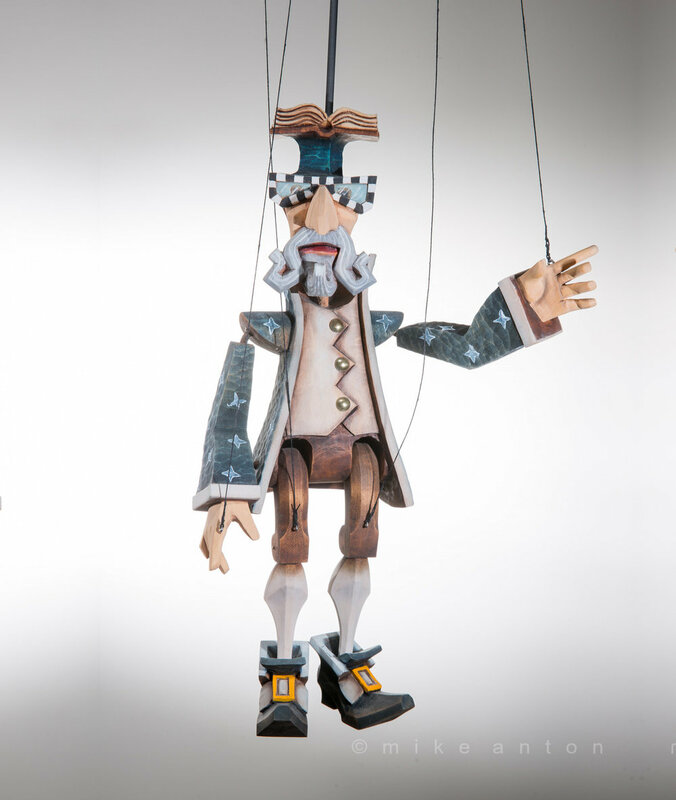 Trick Marionettes designed for performance. .
Our medium marionettes range from approx 13 inches(32cm) to 18 inches (45cm) perfect for a collectors or decorative gifts. Do you want a puppet made of a friend or loved one or just your favourite film or music star. We can help bring your ideas to life. Hand carved wooden puppets. Many one off designs and some designs that are repeatable but as they are fully hand made and hand carved means that no two puppets will be exactly the same. We also make wooden carved hand puppets.